On Tuesday, 1st July the government wrote to Fulham Boys free school to say they intended to block its opening which until then had been scheduled for this September. This is an extremely disappointing decision and one which leaves 92 boys, some 55 of which are Hammersmith and Fulham residents, in a very difficult position. The head teacher sets out his view here. It’s one I agree with. I have asked H&F Council officers to do everything possible to support those children and their families and I hope that the government will change its mind and allow Fulham Boys School to open on its temporary site in Gibbs Green. Cllr. Sue Macmillan (Lab), the council's cabinet member for children and education, and I met with Fulham Boys School's deputy chair of governors and head teacher for just over an hour and a half on Friday afternoon to see what we can do to help. I should stress that free schools are totally free of their local council – the clue is in the name. To that end this decision is nothing to do with H&F Council. 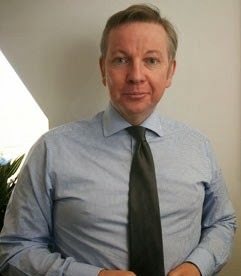 It was made by the Rt Hon Michael Gove MP (Con), the Secretary of State for Education. It is and has been Mr Gove’s responsibility, via the Education Funding Agency, to ensure that the school can be properly housed and funded. The government wrote to H&F Council on Wednesday, 2nd July (a day after they informed the school) to formally tell us of their decision although by then we had already heard the news. Fulham Boys School had been given a temporary site in Gibbs Green for 2 years. On Tuesday, after the government had made its decision, a rumour emerged that the government could immediately reverse the decision if the lease on the temporary site on Gibbs Green can be extended from 2 to 3 or even 4 years. The government has since contradicted this and told us that the length of the temporary lease will make no difference to their decision. But I guess it is plausible that different people in government could be giving out different messages. Sue Macmillian has been trying to get this rumour substantiated since Tuesday as it potentially offers a glimmer of hope that there might still be a chance to get the government to re-think. On Friday evening we were given the name of the Conservative MP who this rumour is alleged to have originated from. I have written to him seeking clarification of whether this is true and asked for an urgent response. At the time of publishing this I am yet to get any reply. I will report back when I have a satisfactory answer. H&F Council does not own the Gibbs Green site that would have temporarily housed Fulham Boys School. That site was sold off by Hammersmith and Fulham’s former Conservative administration to Capital and Counties Properties Plc (CapCo). The borough’s new Labour administration has been given a clear mandate by local voters to negotiate a number of important issues with CapCo and I would happily add this issue to that list if the extended use of a temporary site did in fact turn out to be a critical factor in saving Fulham Boys School. There has been much nonsense put around about this saga mostly by former and current Conservative councillors. So for the record I am happy to clarify that this administration is determined to support all good schools and sees the need for more of them – particularly secondary schools. That includes free schools which are for all intents and purposes the same as academies – an idea developed by the last Labour government. I supported academies/free schools then and still do now. Looking for and choosing good secondary schools is difficult and I’d hope to do everything possible to make that easier during our term of office. Although this free school decision is nothing to do with H&F Council my colleagues and I are happy to do all we can to help. I appreciate that it may take some time for local Conservatives to come to terms with their resentment that 22,163 local people voted them out of office. They have said some quite frankly crazy things in the weeks since the election most of which has had little effect on anything but in this case I do think it would be much better for all if they put aside their ill-advised mischief making and instead work with us to support the children and families affected and get the government to reverse this decision.